Storing more in less space? It’s possible. Have you outgrown your storage space? If you have, you’re not alone. Growing out of storage space is common among businesses—what’s even more common is that many think there are no other options besides moving to a new building or renovating an existing one. Those things cost money, time, and ultimately—productivity. 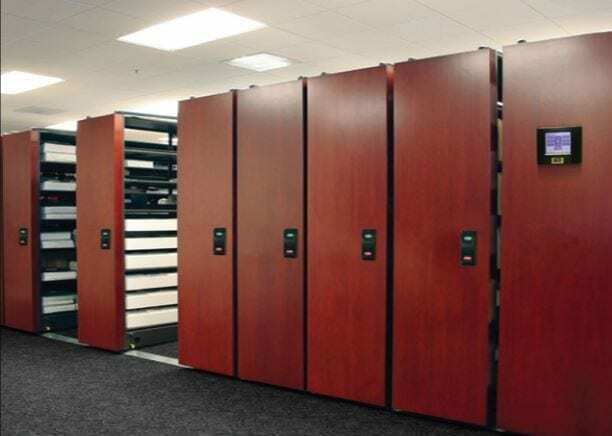 We have a solution—utilizing a high-density mobile storage system to store the items that are meaningful to your business, whether that’s library books, evidence inventory, parts and supplies, athletic gear, and more. 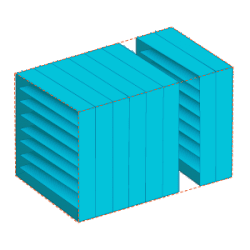 Spacesaver’s compact mobile shelving solutions offer a way to store more in less space, or to double the amount of storage in the same footprint. 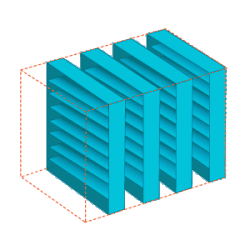 Not sure where to begin with high-density mobile storage? We’ll take you through it—get started below. 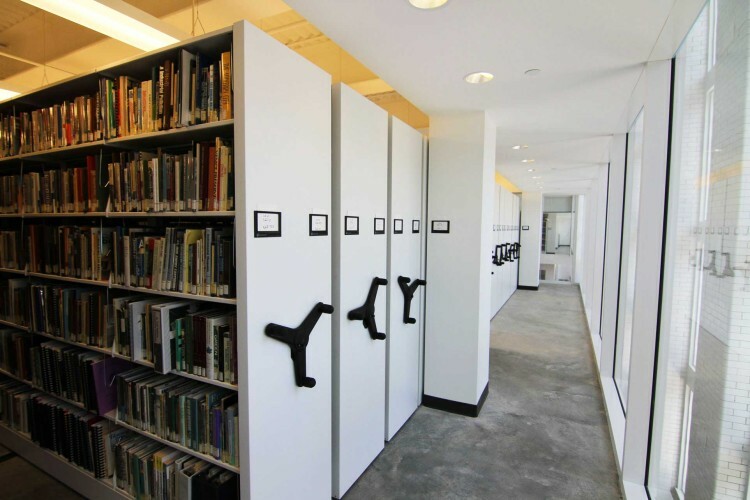 Think about a typical area of static shelving—a library, for example. In between library shelves, there are individual aisles for patrons to walk through and select books. These aisles, while necessary for library-goers, are actually wasted space that could store more books or be used in other ways. 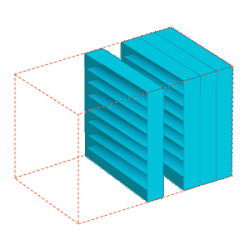 Now, imagine that you’re able to put those static library shelves on moveable carriages that could compact together to create a dense space—but still be able to retrieve any book, any time. The space you save from compacting those aisles gives you extra space—additional study areas, a computer lab, a collaborative classroom, or a café—all of it possible without new construction or renovation. 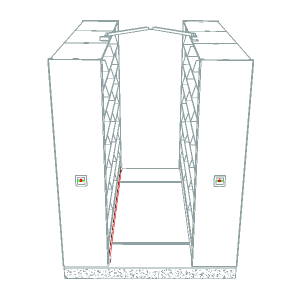 The most widely used high-density mobile system, available in all modes of operations and offers an array of safety options. 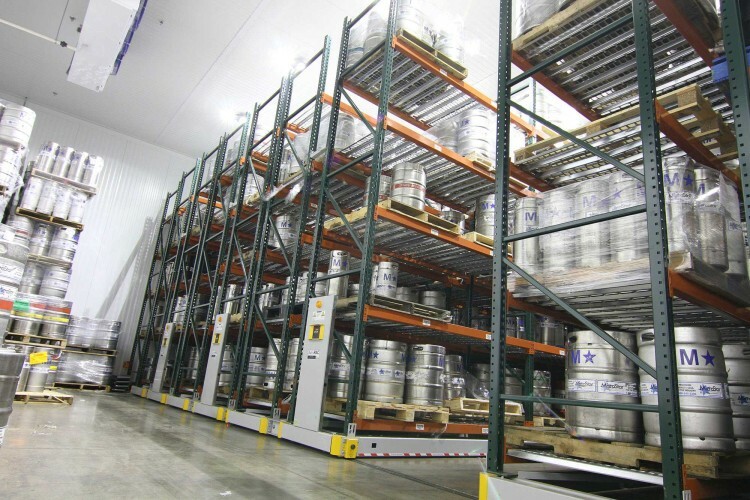 A solution for storing large or heavy items without facility expansion or renovation, heavy-duty mobile storage systems can hold 7,000 to 30,000 pounds per carriage. High-Bay Archival Storage Systems allow you to maximize the capacity of the room by storing archival boxes and records from floor to ceiling. The mobile storage option for when relocating is in your future. 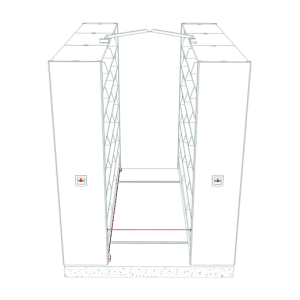 Carriage aisles are accessed with the press of a button for optimum reliability and ease of use. A Suspended, rail-less system for high density shelving.  Units are operated by simply turning an ergonomically designed three-spoke rotating handle. The handle allows users to move carriage weights of 4,000 to 10,000 lbs. with only one pound of effort. Activate systems by pushing a button. You can enter the aisle as the carriage begins moving as requested. We also offer Touch Technology Control™, an LCD touchscreen that provides optimum ease of use and security. For lighter loads and a more cost-effective alternative to mechanical assist and powered controls, carriages can be moved side-to-side by pulling a single handle. 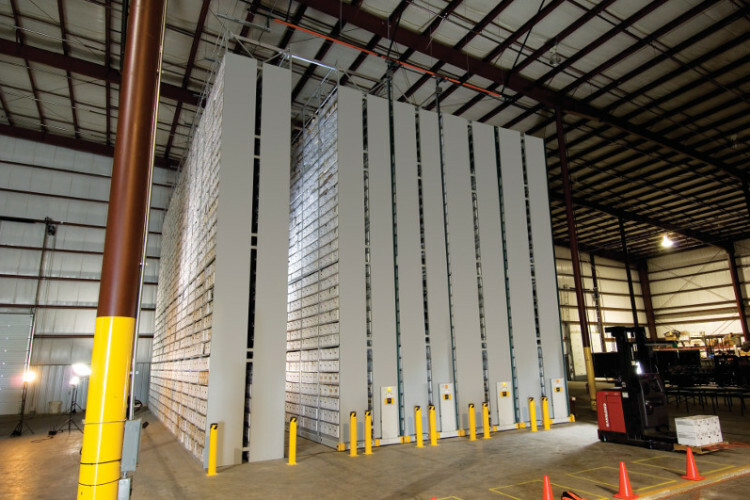 When it comes to a moveable shelving system, safety is our primary concern—after all, we want you to feel comfortable using the system.  Based on your needs, we offer the ability to close and lock your system when not in use, and depending on the type, systems can be programmed for controlled access to specific aisles, etc. Here are a few more of our many safety features. An infrared light beam, unaffected by sunlight or ambient light extremes, projected the length of the carriage at its base stops system movement when broken by a person’s foot or other object (for use with powered systems). 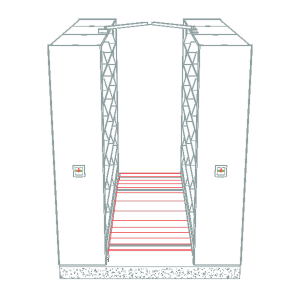 Provides full aisle protection for people and objects in the open aisles by automatically stopping carriage movement upon contact with a barrier (for use with mechanical assist systems). 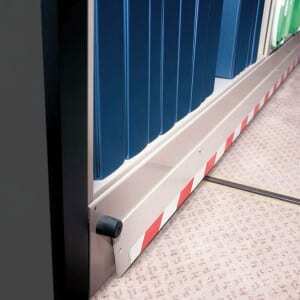 If a person enters a closing aisle, cross-aisle sensors mounted 20 inches up from the carriage base stop the system from moving (for powered systems only). By projecting multiple infrared photoelectric beams across an open aisle the full length of the carriage, the Zero Force Sensor (ZFS) system detects a person’s entry into a moving aisle or presence in an open aisle and automatically locks down carriage movement (for powered systems only). Strength of steel with the warmth of wood. 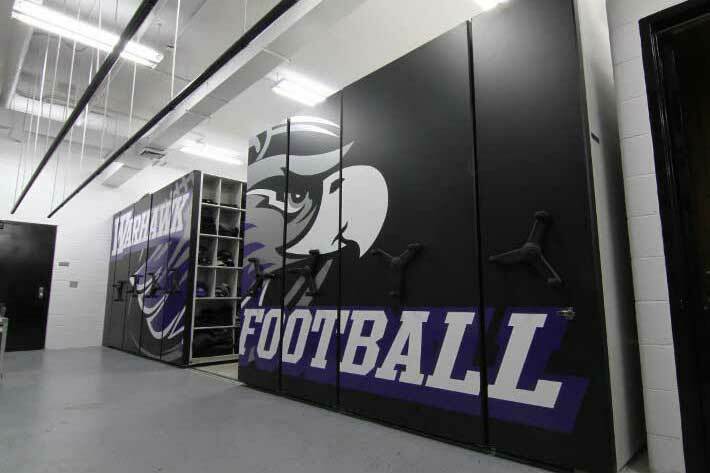 Wood-Tek is a unique storage system that pairs real wood end panels, doors, and shelf edges with metal high-density shelving to make a product unsurpassed in beauty, strength, and versatility. Wood-Tek paneling is available in four finishes—honey cherry, chestnut cherry, red cherry, and natural maple. If you want the natural warmth of wood in your space but need the strength of steel, Wood-Tek paneling is the perfect option.  If you’re interested in finding out what type of compact mobile storage solution would work best for your business, we can help. 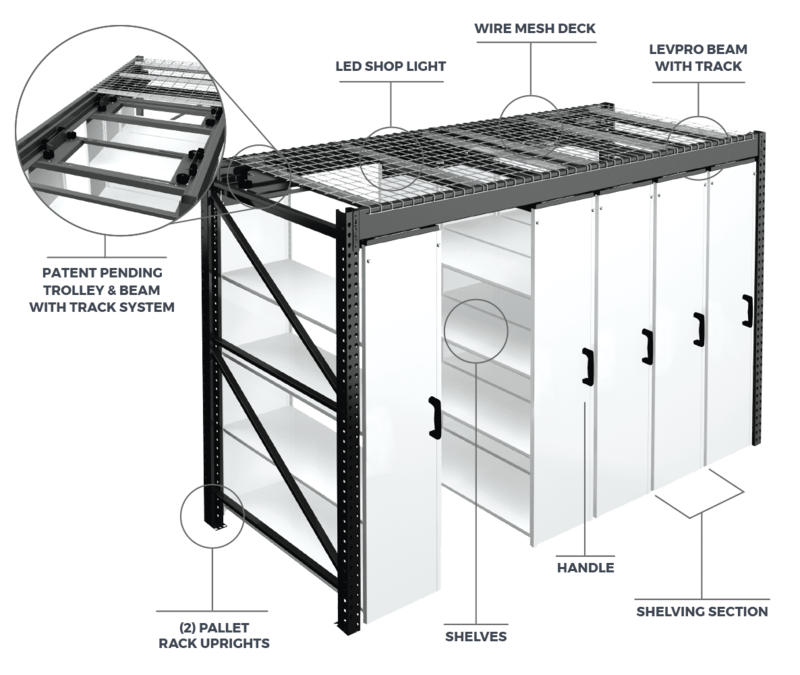 Download our Mobile Storage Systems Overview, or contact us for a complimentary space assessment.